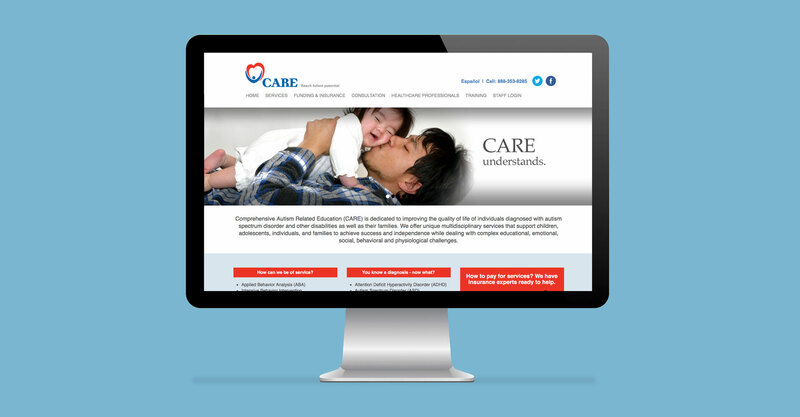 CARE, Inc. improves the quality of life of individuals diagnosed with autism spectrum disorder and other disabilities as well as their families. 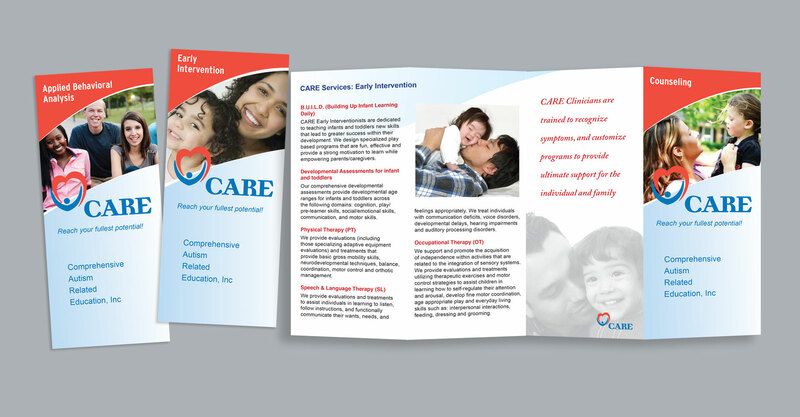 WordPress website, brochures design and production, social media template, social media posts. 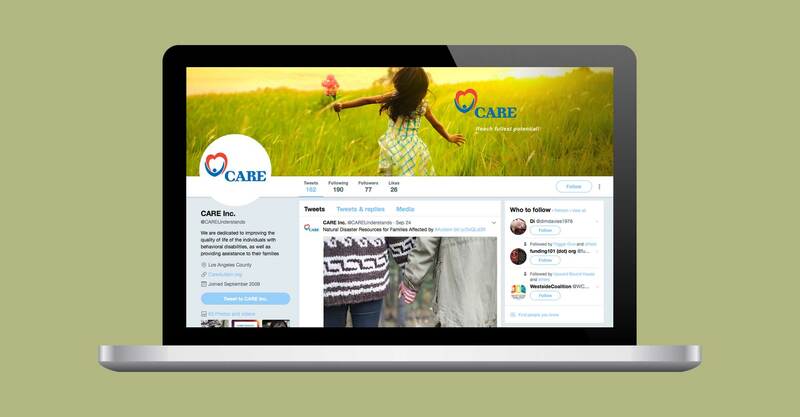 CARE, Inc had allowed their social media feeds to become grossly out-dated. I redesigned the Facebook and Twitter profiles, and generated posts for 60 days to jumpstart the effort to bring them back up-to-date.